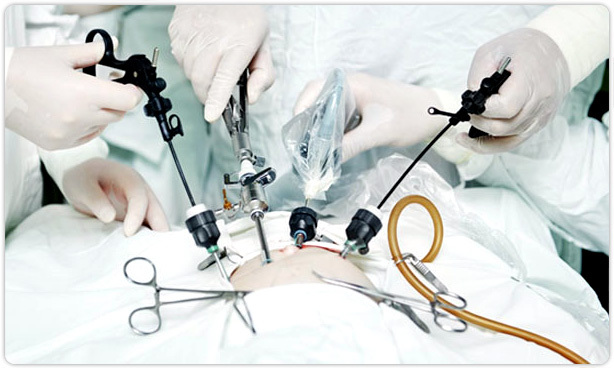 Minimally invasive surgery – also called laparoscopic surgery- is an advanced surgical technique in our hospital. This medical procedure gives a less incision than the traditional open surgery. the surgeon will insert a tube equipped with a tiny video camera and then slip the specially designed surgical instruments in order to perform the operation. This technological innovation is able to project a real-time magnified view of the operative field on a monitor and at the same time the surgeon facilitates the incision by the complex laparoscopic tools. Why choose a laparoscopic surgery at Bangkok Hospital Phuket? The key advantages of minimally invasive surgery are fewer complications, less blood loss, shorter stay in a hospital, and a quicker recovery. The surgical expertise in laparoscopic and robotic-assisted surgery of the highly experienced surgeons. With the cutting-edge technology, skilled surgeons, nurses and other medical professionals work together to continually improve patient care and safety.